Home Education Questions and Answers What is the Differences Between HND and OND? What is the Differences Between HND and OND? 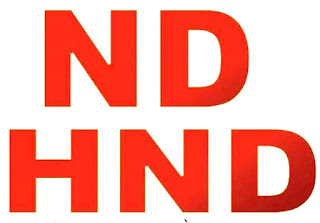 One of my readers asked: what is the difference between HND and OND? He wouldn’t have if he had earlier seen my post on this. I had earlier explained the difference among the qualifications such as Bsc, HND, ND, NCE, IJMB, JUPEB, NABTEB Advance, Cambridge Advance etc. But to fair to him, let see the main difference between the two programmes as explained below. The full meaning of OND is Ordinary National Diploma (also shortened ND) whereas HND is Higher National Diploma. HND requires one year Industrial training (IT) participation before holders of ND can obtain the form. HND is equivalent to Bsc (university degree) and can used for jobs. ND holders can equally work their qualifications.